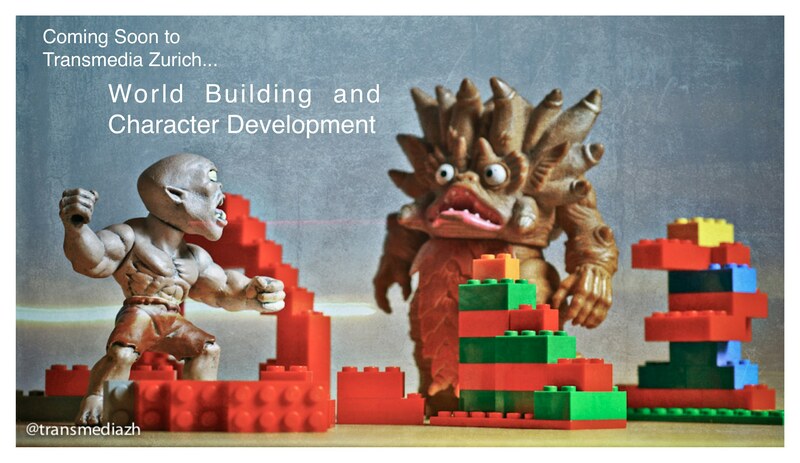 For the Transmedia Zurich Meetup in December I gave a presentation on World Building. A truly fascinating topic, that brings together all the elements of origin, evolution, science, and story in one go. You see, stories usually take place…somewhere. 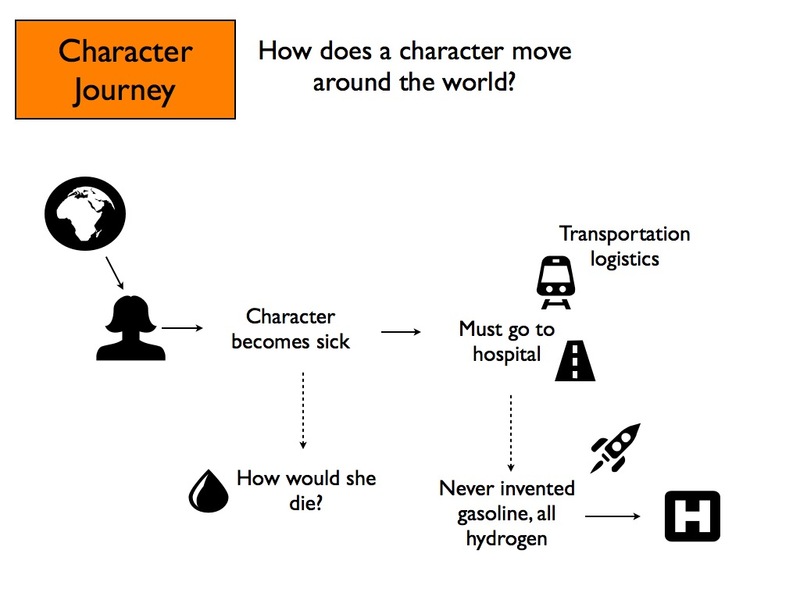 The location of a character drives their actions, and can define how they evolve in the story. The world gives the boundaries which a character exists within and grows within. At the meetup we discussed the basics of building worlds, what if means for character development, and how to prototype them with Unity3D. 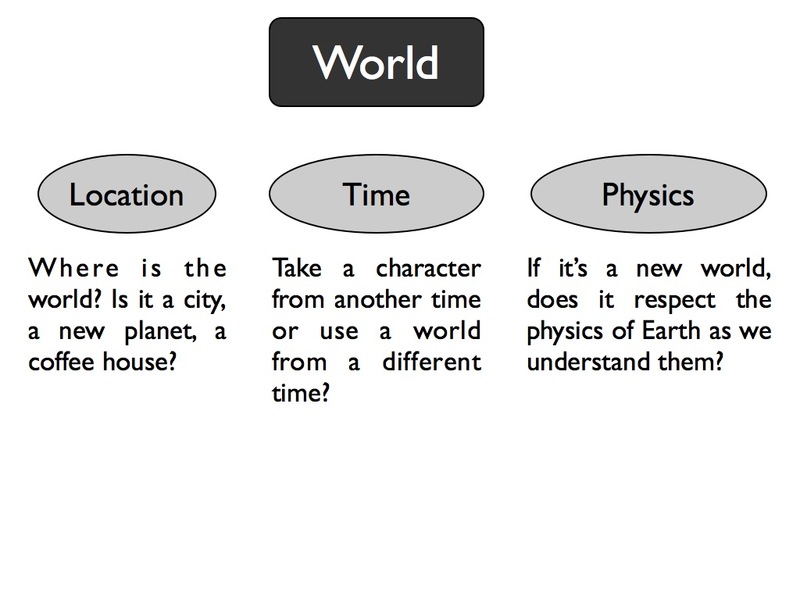 The concept of world building brings together elements of origin, and how a world can logically exist based on the parameters or boundaries you give it. 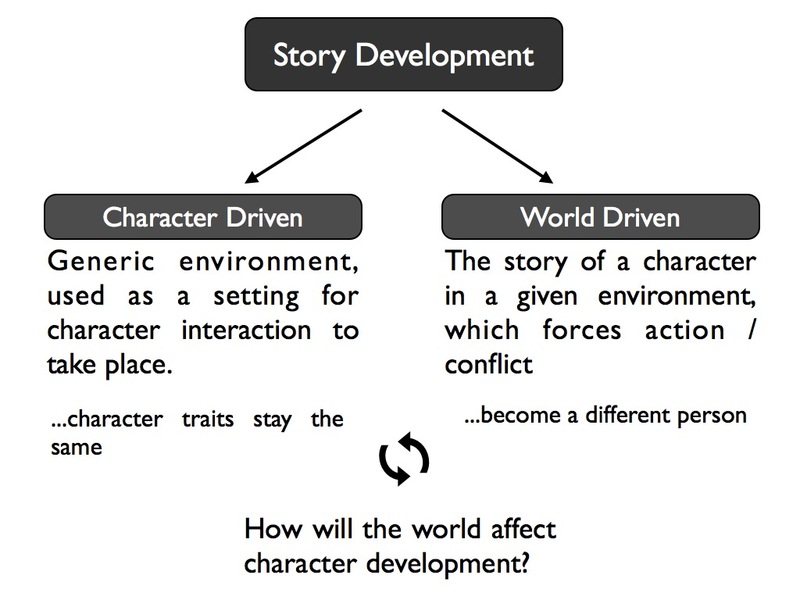 This is all important for defining a coherent story, because your characters need to exist within this world, it is where the characters are challenged, the space which the evolve within, and conflict arises. Worlds and characters are two symbiotic elements. Like the brain and the body, one can not exist without the other. 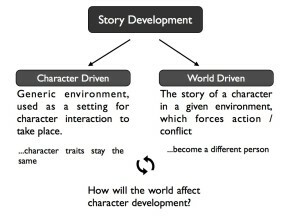 Many stories and movies are either character or world driven. That means that conflict and character evolution occurs because of a situation they are place in (defined by the world) or their personality is the main focus, and it doesn’t greatly matter if the movie takes place in New York or on Mars. I like taking inspiration from user experience (UX) development methodologies for transmedia projects. In UX you often create a diagram called a user or customer journey map. This maps out the interactions between a user and a product like a mobile app. 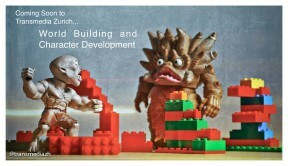 If we extend this tool to world building, we have the Character Journey. This diagram maps out the interaction between the character and world, based on the physical layout or laws of the world you have designed. This logistical process helps figure out how the world or it’s origin influences the characters and therefore the conflicts which arise in your story. From the UX world people are all about app prototyping and visualisation for testing out ideas. So I figured there are good ways to do this for world building, and there are. I like playing around with Unity 3D as a world building and pro typing platform. 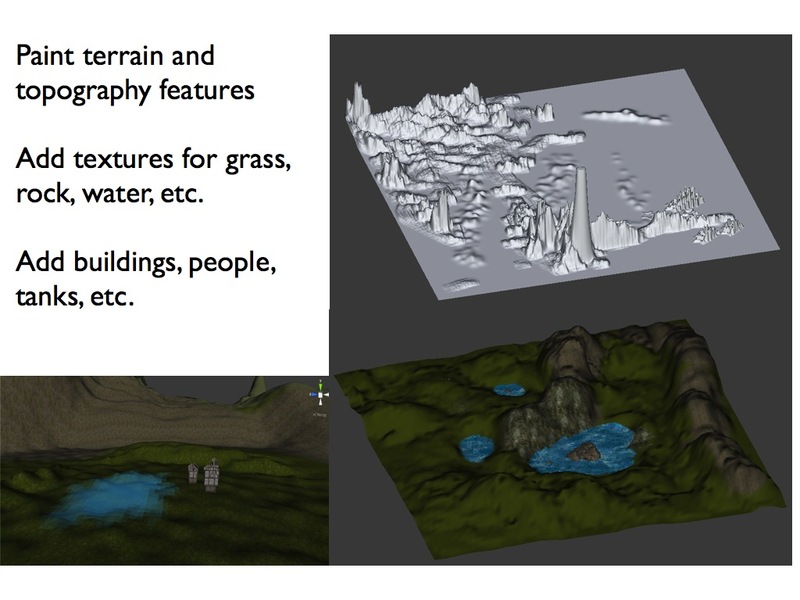 Unity 3D lets you paint landscapes easily like working with Photoshop. Via the asset store you can add houses, trees, tanks, etc. 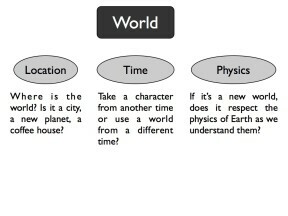 In this way you can easily build up the concept for a city or whole world, and if you’re more advanced I guess you could add custom physics laws and map out the interaction of physical characters with the environment. I however, am happy paining a valley with a lake and adding some tanks with cow camouflage. 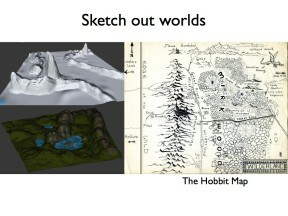 I like to image how cool it would be to work on a story like a Tolkien adventure, and use Unity 3D to map out the Shire or the journey to the Misty mountains. 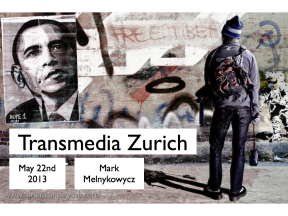 If you’d like to know more about transmedia and world building, check out the Transmedia Zurich meetup group, check out the last presentations on the TransmediaZH webpage, or signup for the Transmedia Toolkit, which is still in development. The Pirate Room is a place of reflection, of ideation, of brainstorming, of prototyping, of building. I built up a pirate room in my house because I found it essential to have a place to work. 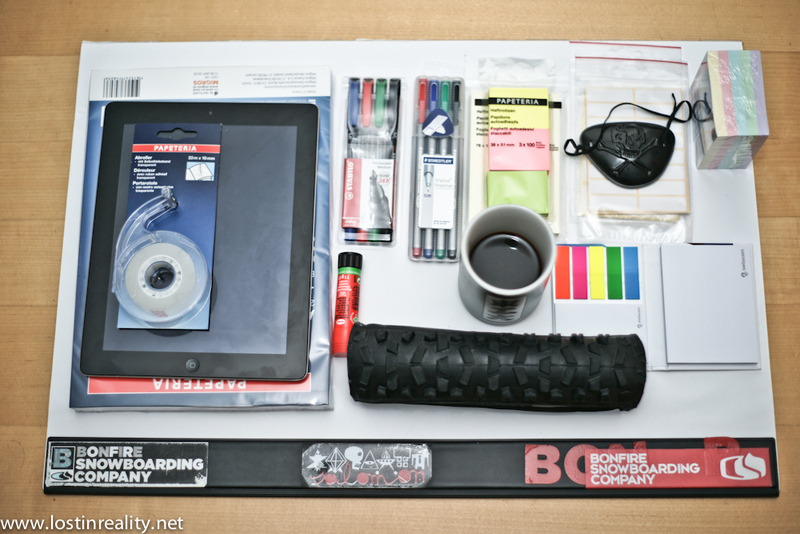 Not an office with a desk and computer, but with…purpose. A place for ideas to flow, to have space to move around, and to be able to record and work with ideas. A place to prototype, to draw and create in. Here are a few key attribute, elements if you will to include in your own ideation space. Well, actually a pirate flag is not essential, but a symbol of purpose is. 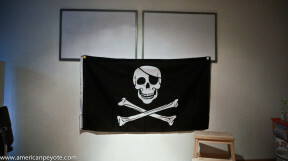 The pirate flag represents the sense, the motivation of doing things differently, against the grain, a tad outside the bounds of society or the standard way of approaching any one product or idea space. It’s imagining an interactive screen instead of a computer, or removing the need for a computer completely when designing a new smart watch. The flag is to remind me to think differently when approaching product ideas, pain points, thoughts of philosophy and everything else in between. As many as possible. If you walk into a Google office you’ll probably see more whiteboards than you can count. When I was in college I put contact paper over all the walls so I could write on them. 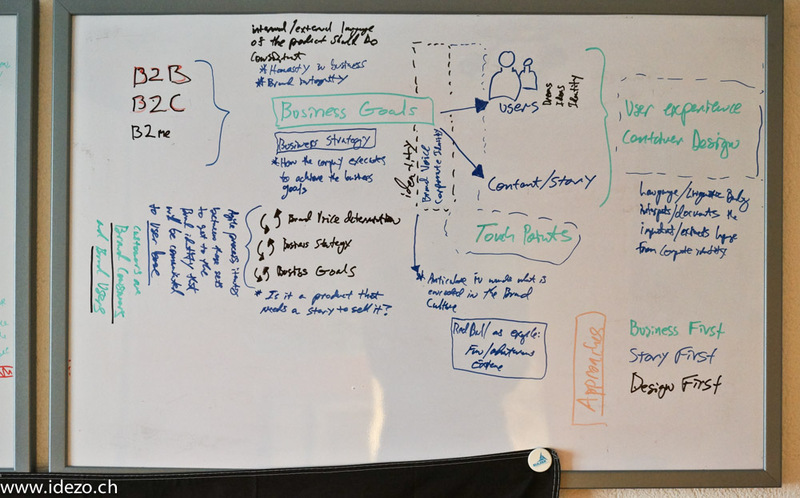 Having multiple whiteboards means you can draw out ideas, cross reference with other concepts, build up quick wireframes, and diagrams, and discuss with the people around you. When you have something good take a picture drop into the ideation folder of your projects. 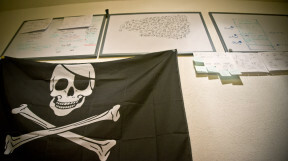 The pirate flag is hanging by the boards reminding me to think different. Yes, art. 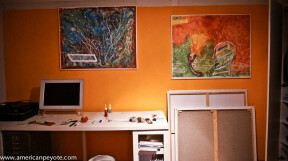 My pirate room has one orange wall and on that wall is my Gonzo Art. I painted these during 1 Day of Art Copenhagen and makes me think of non-linearity and abstraction. 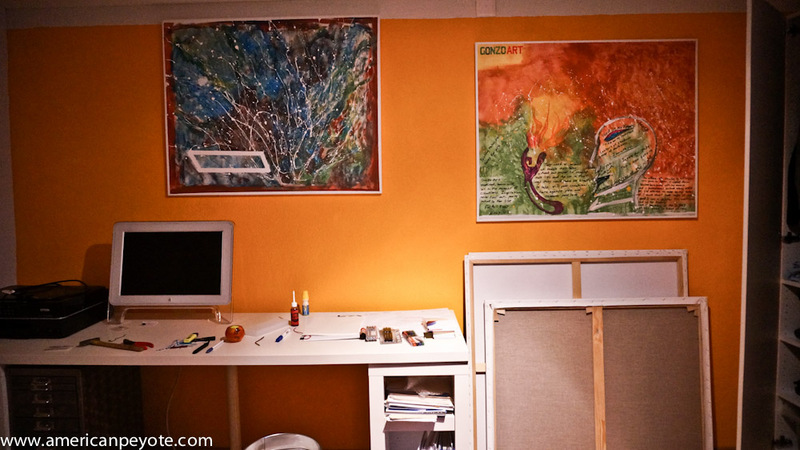 The paintings evolved from my work with Photoshop and a desire to get a way from digital imaging and computers as a method of creation. Art is organic, and grounding and that’s important when your mind is getting lost in the sea of digital and internet products and prototyping out ideas for new markets. Ideas are worthless little things taking up space in your brain. It’s only when you start to build things and make them at least somewhat tangible that you can really start to play around and evolve product concepts. Paper prototyping allows you to build out representations of your ideas, hold them, test them, etc. I like to draw, it takes time and in that time you re-evaluate what you’re doing and what the purpose of the product is. 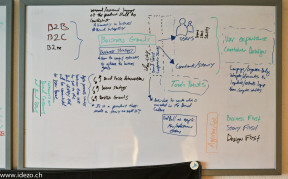 I like large pieces of paper for these thing, A3 / A2 size is nice as you can make idea diagrams, put down post-it notes, draw out user interfaces, etc. Then on the iPad or computer I can build up interactive prototypes with apps like AppCooker. YES ! Flying monkeys are essential. Or rather, a sense of humor and an appreciation for the absurd is healthy anytime you’re trying to create something new or cleverly repackaged. I have two types of flying monkeys, one is from McFarlane Toys. They are part of the series Twisted Land of Oz. They are a twisted re-imagination of the characters from The Wonderful Wizard of Oz. They remind me that innocent things are easily re-created as monsters, and the same is true of innovations. The context of an idea determines the purpose and the expression of the idea. 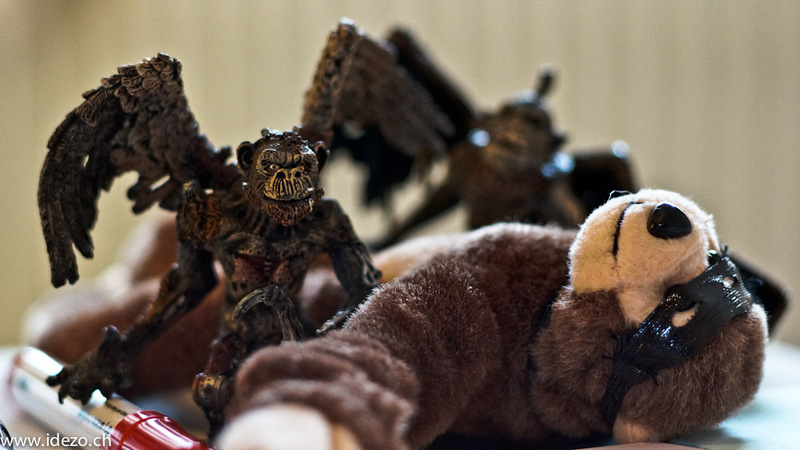 The other one is a plush monkey doll with elastic rubber arms that can fly across a room and emit a high-pitched monkey scream while in flight. Why? Cause fun is essential in life and during creation. Never forget to laugh. A serious world is a boring world, and this is a Pirate Room. 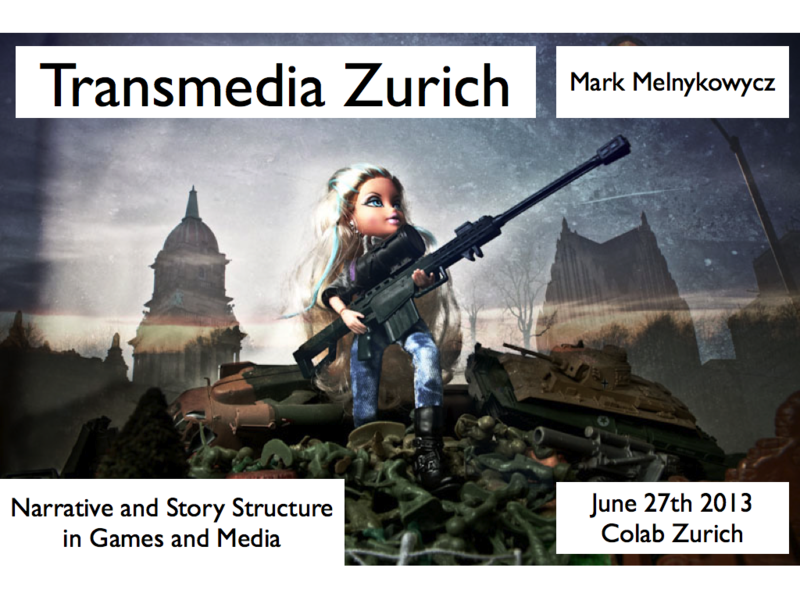 The second Transmedia Zurich (www.transmediazh.ch) meet up took place on June 27th, with a focus on Narrative and Story Structure in Games and Media at CoLab Zurich. 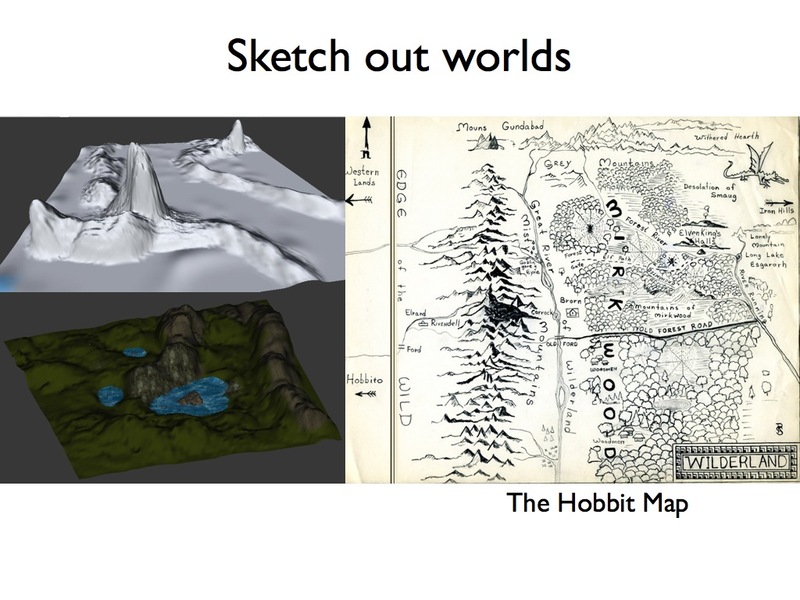 We had Matthias Sala from Gbanga, who gave some awesome insight into mixed reality game development and nonlinear plot development, while I talked about classic story structure, including a focus on The Hero’s Journey. Why is it that you can predict the key points of a sitcom without knowing all the details of the plot line? Mainly because we’re fead the same plot lines and story structures, reflected in myths we’ve been told since before we could speak. If you’re interested in more info on Transmedia and the intersection between story and technology, join the Zurich Transmedia meetup group or signup for the release of the Transmedia Toolkit. When I took a sabbatical as a doctoral student I went to Toyko for 3 months. When I was taking a sabbatical as an entrepreneur earlier this year, the destination was Los Angeles and San Francisco to learn about transmedia storytelling in California. I put together a little summary of my experience at the 2013 TransmediaSF Startup Weekend and exploring TransmediaLA meetup in Los Angeles. My main desire was to see how technology and storytelling are combined on the West Coast and in Silicon Valley, and get a feeling for how to use these ideas in Zurich and Switzerland. Along the way I connected with people from Swissnex San Francisco and learned about their Story2023 transmedia project. 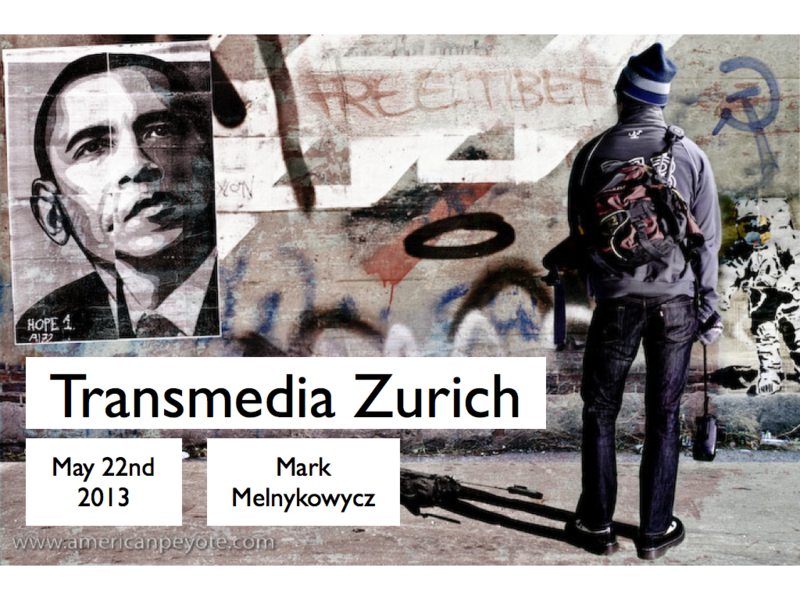 I gave this talk at the TransmediaZH meetup group, which was held at Colab Zurich on May 22nd. It was a good way to discuss transmedia projects in general and see what other teams are working on in the Zurich area. It was also a good time to introduce the StoryHackZH concept.